Iaido is the martial art of traditional Japanese swordsmanship. It is the art of drawing, cutting, and returning the Japanese sword to its scabbard. A real sword is used in the art, which is why it is comprised of techniques or kata with an imaginary opponent attacking from various positions. Because real swords are used, the practitioner must always be aware of not only their own safety but also of those nearby. Iaido has often been referred to as "moving Zen" since it requires all the powers of mind, body and spirit to unify in order to wield the sword in its proper way. The goal of Iaido is to strike down the ego, and provide a path that not only enhances health, but also increases awareness and focus. 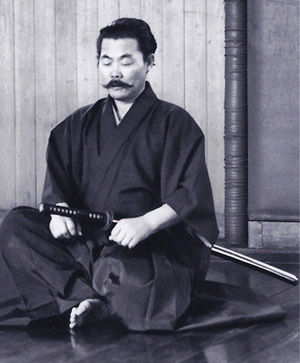 The best definition of the word "Iaido" came from our teacher Reverend Kensho Furuya, who said that Iaido is to be "in harmony with the here and now." 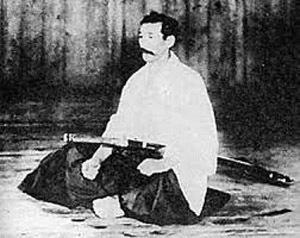 The actual word Iaido came from Nakayama Hakudo, the great martial artist of the early 20th century. We teach several traditions of Iaido and Japanese swordsmanship: Muso Shinden Ryu, Seitei-Gata Iai from the All Japan Kendo Federation (ZKNR), Toyama Ryu and paired forms, kumitachi of Kendo Kata, Toyama Ryu and Aikiken. Our goal is to preserve the art and to pass it on, as it has been passed down through our teachers. The art of drawing the sword from the scabbard and cutting in the same motion has its origins from the mid 15th century when the sword began to be worn edge up and thrust through a sash, or obi. This new style of wearing a sword allowed it to be drawn out more quickly which was conducive to the style of infantry warfare of the time. 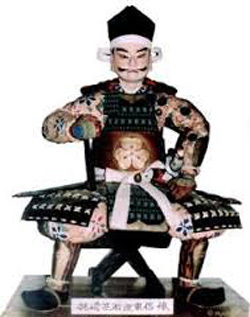 But it was not until the mid 1500's that it was widely disseminated as a new swordsmanship technique by Hayashizaki Jinsuke Shigenobu. Hayashizaki developed the techniques called batto-jutsu, which he taught to various martial art schools. Because of his dissemination of the art, he is considered the founder of Iai. There is a shrine dedicated to him outside of Yamagata, Japan which is where he received divine guidance in his development of the art. Over the centuries the Hayashizaki Ryu has changed under a number of headmasters, soke, with additional techniques added from Omori and Hasegawa Eishin Ryu. 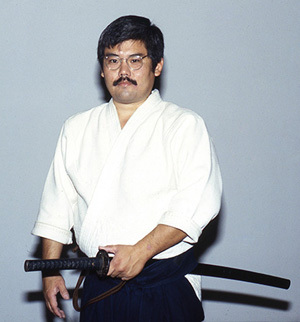 As warfare changed, and the use of the sword declined, the art went from the practical Iai-jutsu forms to techniques that enhanced the spiritual development of the practitioner. Nakayama Hakudo, taking the forms he learned in Tosa, developed his own Ryu, which eventually was called Muso Shinden Ryu. One of his last students was Mitsuzuka Takeshi Sensei, who taught Kensho Furuya. In addition the chief instructor of Kenshokai has been instructed and has tested under Mitsuzuka Sensei. Therefore Kenshokai dojo traces its lineage directly back to Nakayama Hakudo through Mitsuzuka Sensei and Kensho Furuya Sensei. Mitsuzuka Sensei unfortunately passed away in March, 2008, year and a day from the date of Furuya Sensei’s death.